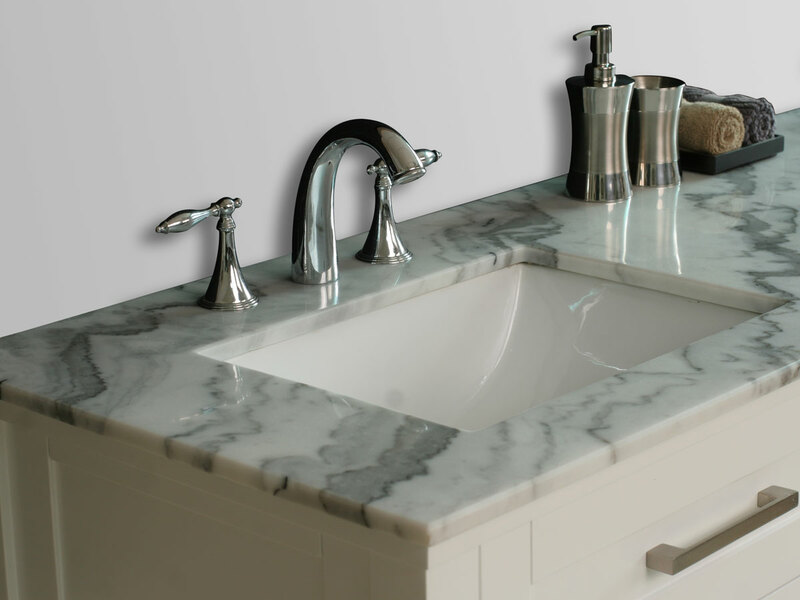 Simplicity is the key when it comes to the 72" Harrison Double Sink Vanity. 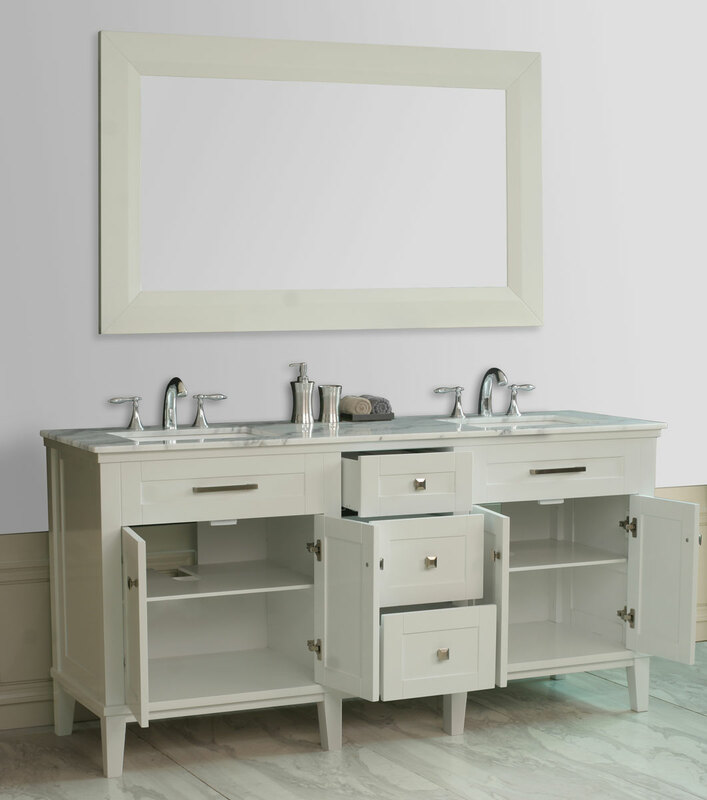 Made from solid oak, this vanity features a crisp White finished cabinet that's accompanied by a White marble top. 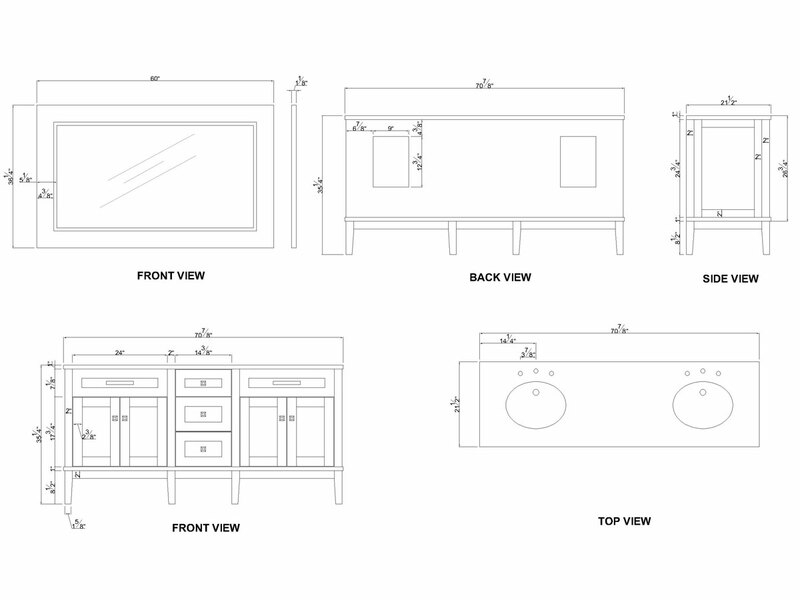 Each side of the vanity houses a double-door cabinet, divided by 3 functional drawers. 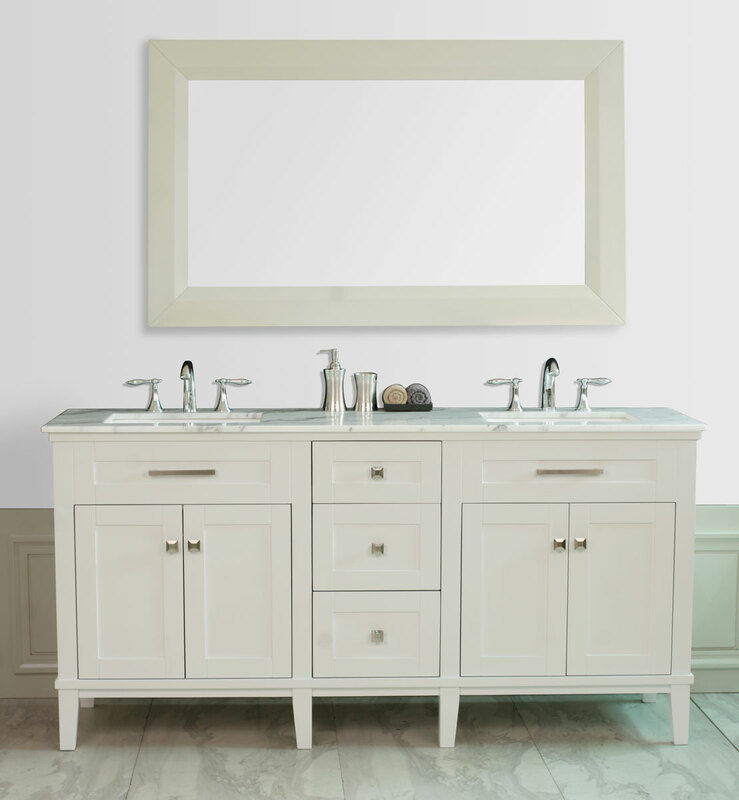 Each of these drawers and cabinet doors are equipped with European soft-closing hinges and glides, then accented with shiny stainless steel hardware. 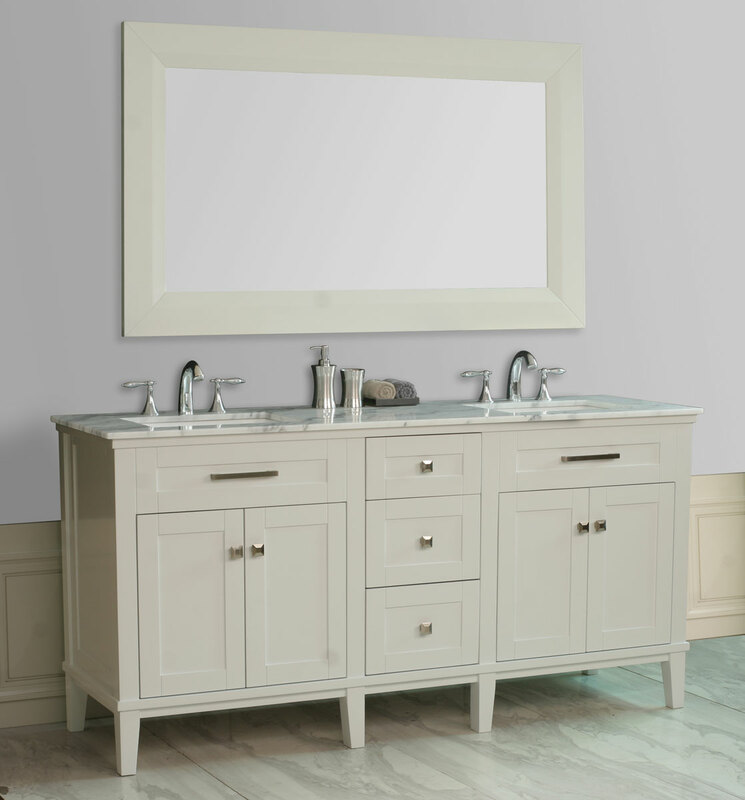 If you're looking to upgrade the look of your bathroom without going completely modern, then the Harrison Double Sink Vanity is the perfect solution!